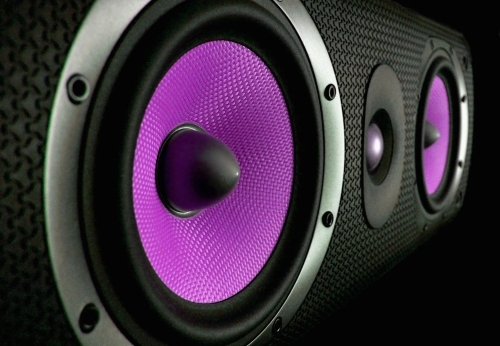 Purple loudspeakers sound better than black ones. At least that’s what I hear when I see them. And plaid loudspeakers sound, well, more complex, with additional harmonics. Think I’m crazy? Actually, this is a real effect. Well, not purple versus black versus plaid loudspeakers, exactly. But a carefully controlled test might prove something along these lines, as evidenced by recent scientific reports about how the brain fills in some of the gaps, or even obscures certain things, due to input sources other than sound. Unless you’ve been living under a rock, or possibly been working on the road nonstop for the past year or so, you’ve likely caught wind of the recent flap about how Stradivarius – the “gold standard” of violins – aren’t always preferred by violinists. That is, if they don’t know it’s a Stradivarius they’re playing. Claudia Fritz, a researcher at the University of Paris, conducted an experiment at an international violin competition. The gist of it is that 21 violinists played six different violins, three of which were highly prized “classics” (made by Stradivarius and Guarneri del Jesu in the 1700s), and three of which were modern instruments. The musicians were outfitted with welding goggles so they could only see the outlines of the instruments, the room was darkened, and the instruments were distributed in random order. To cover the smell of the older instruments, all were dabbed with perfume. The musicians played and then ranked the instruments in order of playability, projection, tone color, and response. For the most part, the modern instruments were preferred, and one of the Strads was even deemed “worst” by a majority of the players. Further, they were unable to distinguish between old and new instruments, and no link was found between the age of the instruments, their value, and musicians’ preferences. For perspective, the three old violins had a combined value of about $10 million, and the three new ones totaled about $100,000 – a 100x difference! Perhaps you’ve also heard, at least anecdotally, about wine tastings where the identity of the wines were masked, and even educated connoisseurs favored cheaper vintages. In one case, blindfolded tasters could not even tell the difference between white and red! Of course, it’s long been argued that short-duration blind tests only tell us part of the story. Longer term exposure, the argument goes, provides a greater depth of understanding of what we’re looking at, tasting, or listening to. But what all of these studies point out is that psychology, even mass psychology, play significant roles in our everyday choices, whether these choices are for personal or professional reasons. O.K., so what about professional audio? Certainly, we’re not as foolish as those prima donna string players or cork sniffers? As it turns out, it’s more a matter of how our brains interfere with our perceptions in general. Other sources of sensory and cognitive input can influence what we see, hear or feel. Another interesting contribution to this discussion was presented by Ethan Winer at an “Audio Myths” workshop at the 2009 AES convention in New York. Topics included “Why do things always sound different?” “Artifact Audibility” and “Proper Test Methods,” among other related material. So what might this mean to those of us working in audio? First, we could be bringing tremendous bias to our decision making, and second, we are likely unaware of it. This isn’t necessarily a negative but does point out that we’re probably nowhere near as objective about sound as we think. A semi-concrete example: over time, many of us develop loyalties to certain brands, and this can be the result of several things, including (at least originally) the sound of the equipment, as well as customer service, relationships with people from these companies, perhaps advertising or other marketing efforts, and so on. But after years of loyalty, can we really be objective in determining what sounds best for our artists and our audiences? Again, this isn’t necessarily wrong – it’s just something to be aware of. Well, that’s enough lecturing about subjectivity in sound. I’m going to fire up my Les Paul and Bogner Shiva mini stack. To me, it’s the best guitar sound in the world. How did I decide this? When Ronnie Montrose played through a rig like it at the NAMM show in 2005. I’ll never forget that moment. And it couldn’t have anything to do with the fact that one of the cabinets I bought for it on eBay is purple, right?